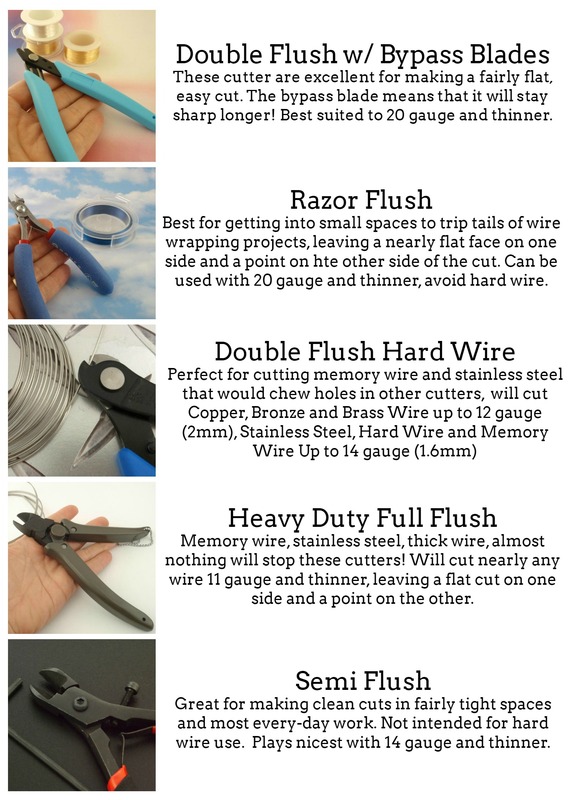 Plier Guide – Part 3 – What Tool for What Job? 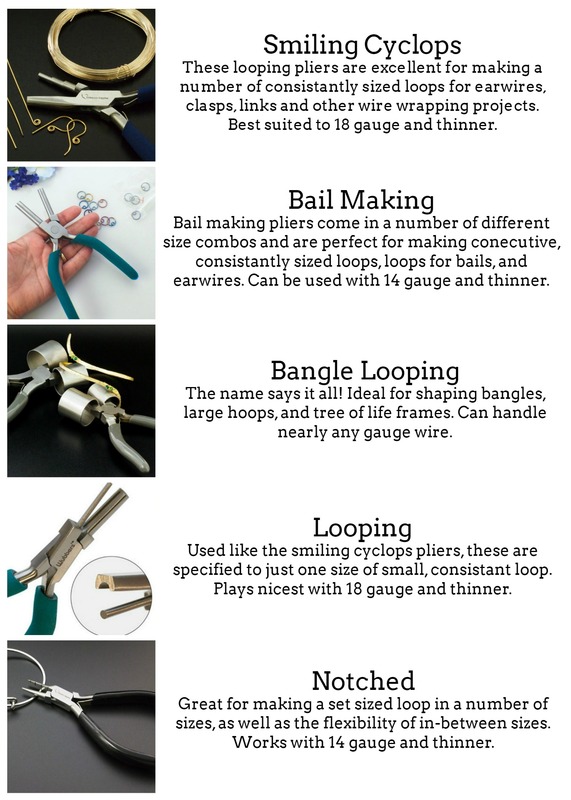 There are MANY tools available to jewelry makers today and sometimes it can get very confusing as to what tool will work for your project! 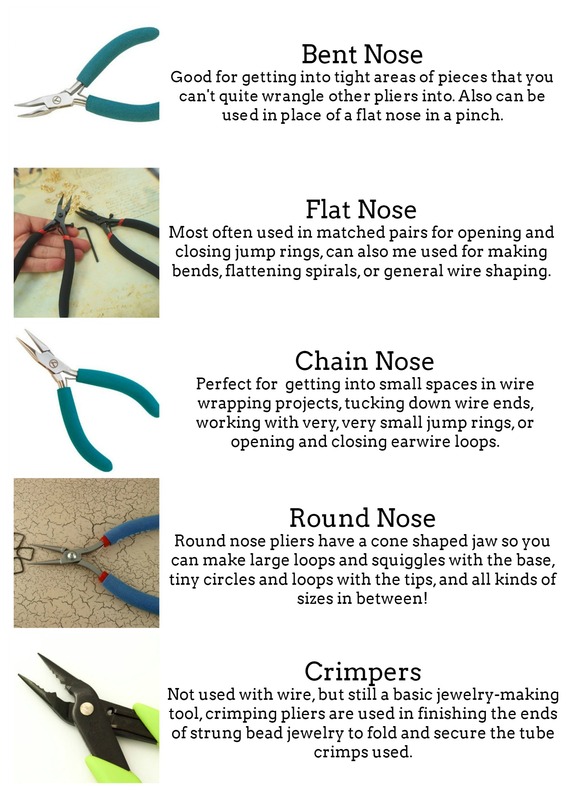 I know that when I first started making jewelry I accidentally bought two pairs of pliers that did exactly the same thing, and I didn’t even know it! 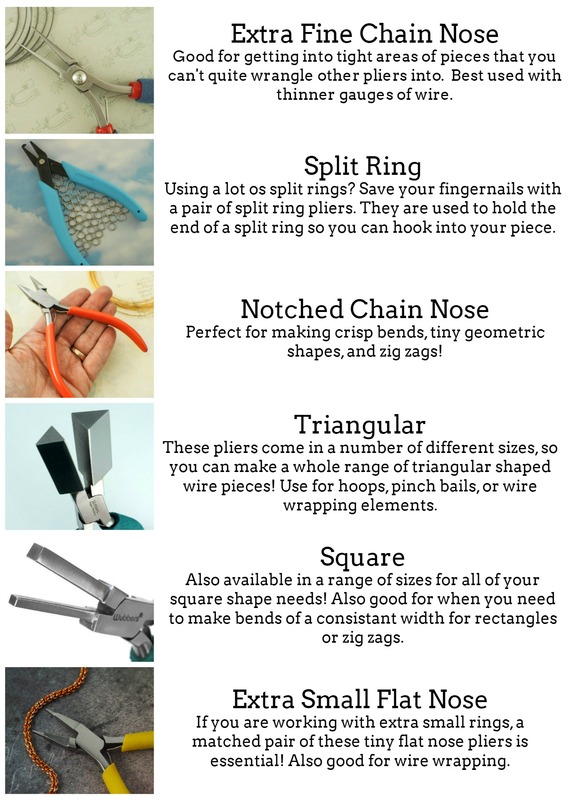 Here is a brief rundown on the uses for all the pliers I offer in my shop and use for my own creations!